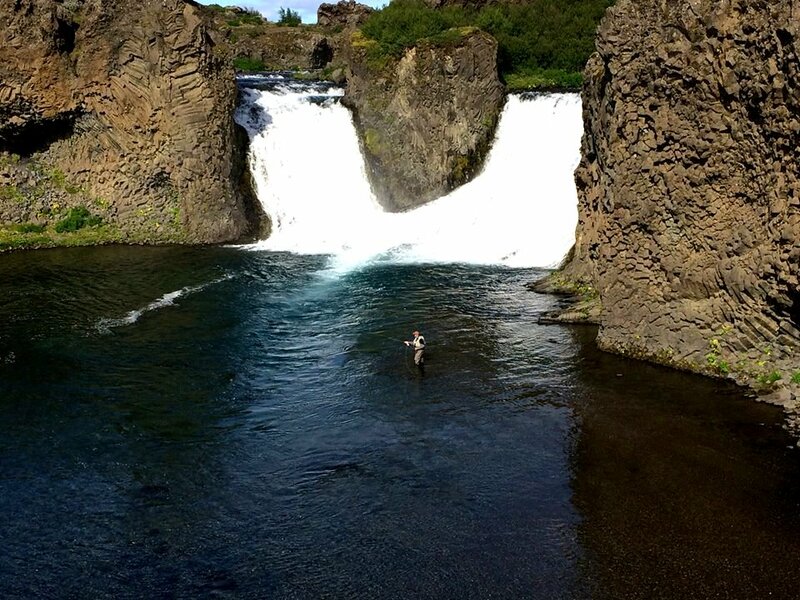 Foss is the Icelandic word for waterfall and you will see three stunning waterfalls where you can fish in. 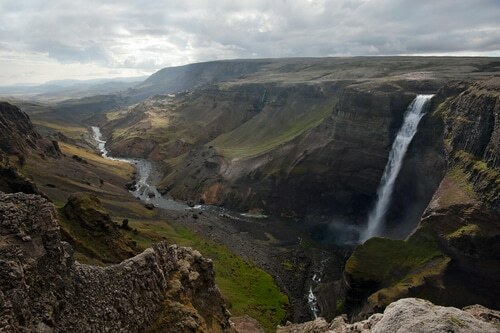 Háifoss at the top of the trout beat is the second highest waterfall in Iceland 122m. The landscape by the river is breathtaking. Fossá river system is fly only, catch and release. The salmon beat is below the waterfall Hjálparfoss. 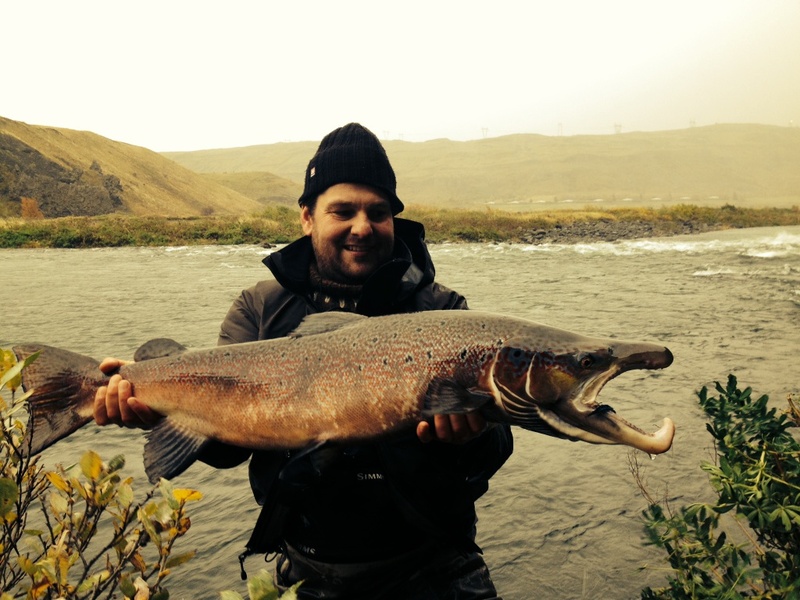 Salmon fishing in Fossá offer you 2 km of private fishing for 2 rods. From the waterfall to the Junction of the river Þjórsa are plenty of pools to keep the 2 rods busy. The salmon runes late in the river and is the prime starts around mid August to end of September. The average size of the salmon is around 9 pounds and there is a good number of salmon over 15 pounds. 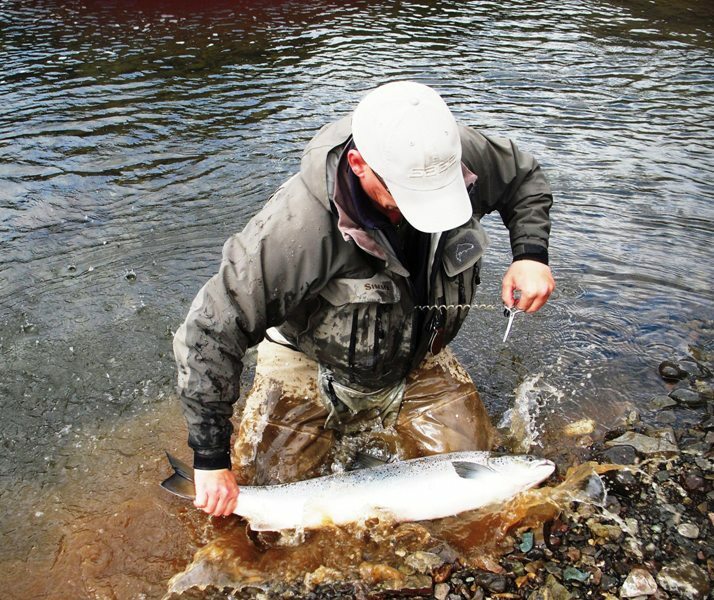 The salmon fishing starts July 15th and only gets better until last day. There is also trout and some Arctic char in the salmon beat, in September you can expect to catch sea trout. To fish the Fossá is good to use single hand rod 7 up to 9 weights or small double hand rod.